I found out earlier this week that I was fortunate enough to have my half day session on “Scaling SQL Server” accepted for the PASS Summit 2011, which was quite a pleasant surprise! I had previously been informed that I also had a 90 minute Spotlight Session accepted, which is “Hardware 301: Diving Deeper into Database Hardware”. Now, I get to actually put together the material and demos for five hours of content on these two subjects (which are at least somewhat related), which will be both a lot of fun and a lot of work! Developing the content for a presentation for a major conference like PASS is a lot of work, but it is something I really enjoy doing. As you do your research, and distill your knowledge and experience into the presentation and demos it tends to be a great learning experience (just like all teaching usually is) that I find to be really valuable. If the content you develop is good, and if you present it reasonably well, it is very gratifying to find out later that your audience learned something interesting and useful that they were able to take advantage of immediately in their career. That thought makes all the preparation work very worthwhile to me! 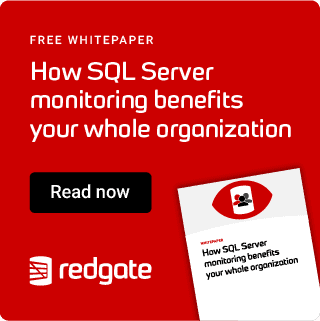 How can you scale SQL Server? Scaling up is relatively easy (but can be expensive), while scaling out requires significant engineering time and effort. If you suggest hardware upgrades you may be accused of simply “throwing hardware at the problem”, and if you try to scale out, you may be thwarted by a lack of development resources or 3rd party software restrictions. As your database server nears its load capacity, what can you do? This session gives you concrete, practical advice on how to deal with this situation. Starting with your present workload, configuration and hardware, we will explore how to find and alleviate bottlenecks, whether they are workload related, configuration related, or hardware related. Next, we will cover how you can decide whether you should scale up or scale out your data tier. Once that decision is made, you will learn how to scale up properly, with nearly zero down-time. If you decide to scale out, you will learn about practical, production-ready techniques such as vertical partitioning, horizontal partitioning, and data dependent routing. We will also cover how to use middle-tier caching and other application techniques to increase your overall scalability. Honestly, the PASS Summit is really the premier SQL Server event, in my opinion. It is a large, well-run event that is very tightly focused on SQL Server. You will be surrounded by a couple thousand people that have to face many of the same issues that you must deal with on a daily basis. People at PASS are very friendly and enthusiastic, which makes the event a lot more fun than some other events. It is definitely a worthwhile investment!